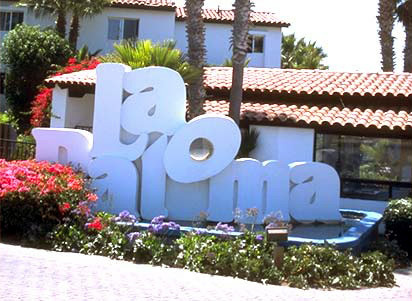 La Paloma features a wealth of amenities both inside and outside your villas or Weekly Villas. Step outside and enjoy one of the four crystal clear swimming pools and spas, three championship tennis courts, a gym, sauna, and shower facilities. You can even relax with a massage from our staff masseur. One of La Paloma’s four complete and spectacular clubhouses spans 4,000 square foot and features billiards, card tables, and barbecue area in addition to the pool, spa, lounge areas, tennis courts, and gym. If that is not enough, you can stroll to one of the other three clubhouses of which two are situated on the oceanfront cliffs. There you can watch a beautiful Mexican sunset every evening. You’ll enjoy all the pleasant sights and tranquil sounds around your villa. Explore quaint shops found around La Paloma and in Rosario Beach where many a bargain can be easily found. Take a quick excursion to visit the Fox Studios where movies such as Titanic, Deep Blue Sea, and Pearl Harbor were filmed on site. There, you can explore the magic of movie making at Foxploration and its Theme Park. Or dine on magnificent Mexican cuisine. And for those who like variety, there is first class Italian, French, and Mediterranean dining in Rosarito Beach! You can catch a cab rather than drive – it’s so close! Or take a short drive to world famous Puerto Nuevo Village lobster restaurants. Or stay home at La Paloma and cook up a feast fit for royalty in our kitchen or have the on-site restaurant, Mama Mia, deliver right to your doorstep! 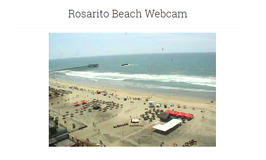 With all that La Paloma and Rosarito Beach or even the nearby Ensenada has to offer you, it allows you to experience your vacation just the way you want it!